Matador Pizza sets itself apart from the rest, serving up pizzas in a style known as “Calgary Greek Style” a concept completely unique to Calgary alone. Pizzarias didn’t really flourish in the city of Calgary until around the 1960’s, and Calgary Greek Style is considered a 70’s style of pizza that has held its ground in ever since. Greek Style pizza worked its way over to Canada from Greece via New England and eventually settled in central Canada in cities such as Saskatoon and Regina, but it really found its home when it hit Calgary. The Greek Style has changed and been tweaked slightly over the years depending on where it was made, however, once in Calgary it would become a pie unique in the world pizza scene. Our version of the Calgary Greek Style pizza begins with the dough. A pan-style Foccacia recipe cooked in round steel pans. Thick in toppings and cheese, this style of pizza does not disappoint and is another reason Matador has been loved by so many over the years. The toppings are layered in a specific order with the meats on the bottom, followed by veggies, and topped with loads of cheese that cook to a crispy golden brown when baked. The next aspect setting it apart is the cooking temperature used to bake the pizzas. Matador’s pizzas are cooked at a lower temperature because of the thickness, baking at around 500-550°F. 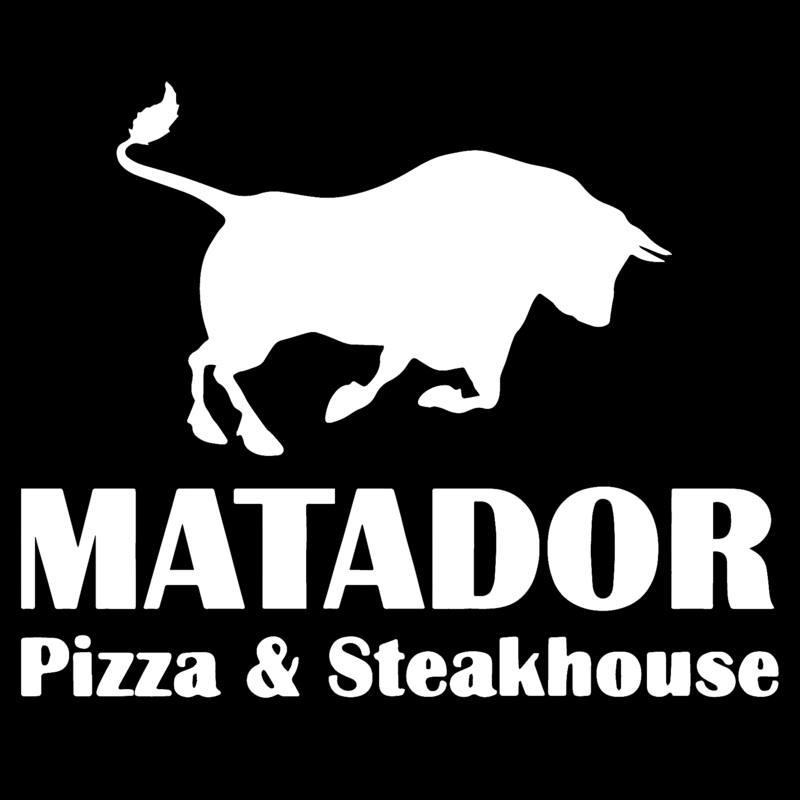 Matador is even more topping heavy than most Calgary Greek Style pizzas found in the city, meaning cook times take a little longer (ranging from 25-30 minutes on average depending on pizza size and the number of toppings) but we promise its worth the wait! Older pizzerias in Calgary often serve up this distinctive style of pizza, and it won’t be found outside of the city. Many people at pizza competitions that Matador participates in are surprised to see such a style as our own, really emphasizing just how special it is. 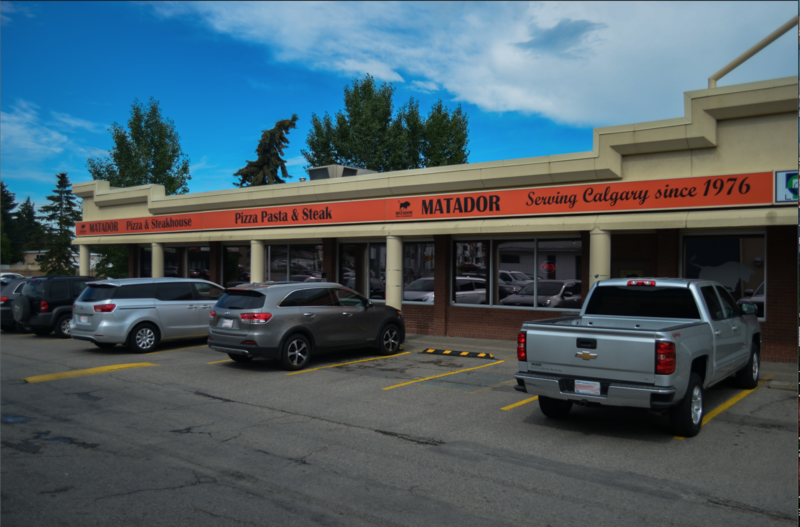 Lastly, Matador is a Mediterranean style “Pizza & Steakhouse” which is a concept uniquely claimed to Calgary as well, where many other restaurants outside the city do not have both of those aspects in one.